by Admin.In Accessories, Level, Photoelectric's, Principals, Proximity's, Timers. 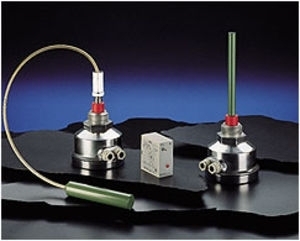 These are used where it is necessary to control with a high degree of security the level of non conductive substances both liquid and solid. They are particularly used for controlling the level in silos for cereals and foodstuffs, in feed plants, foundries and cement works. Relay output with 1 pole changeover from 5A to 220 Vac.